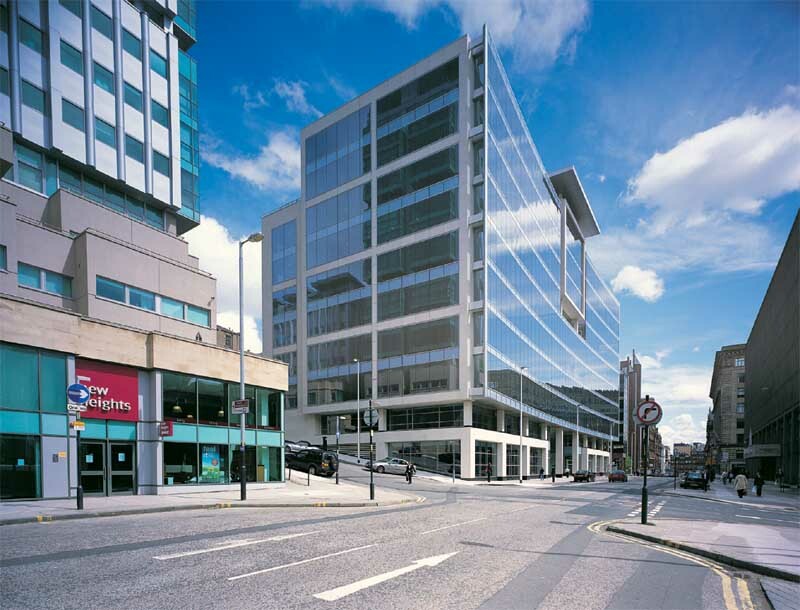 Ark were commissioned in 2008 by Ignis Asset Management to prepare design proposals for the refurbishment of the entrance and atrium spaces at 50, Bothwell Street, Glasgow. This is a “B” listed building located and occupies a city block between West Campbell Street and Wellington Street with lane access to the rear. 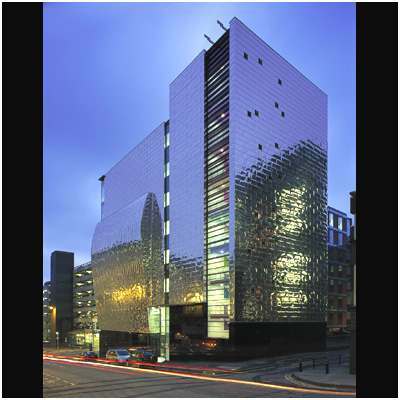 The building comprises six storeys of office accommodation with retail units occupying the ground floor accommodation with two storeys of basement car parking. 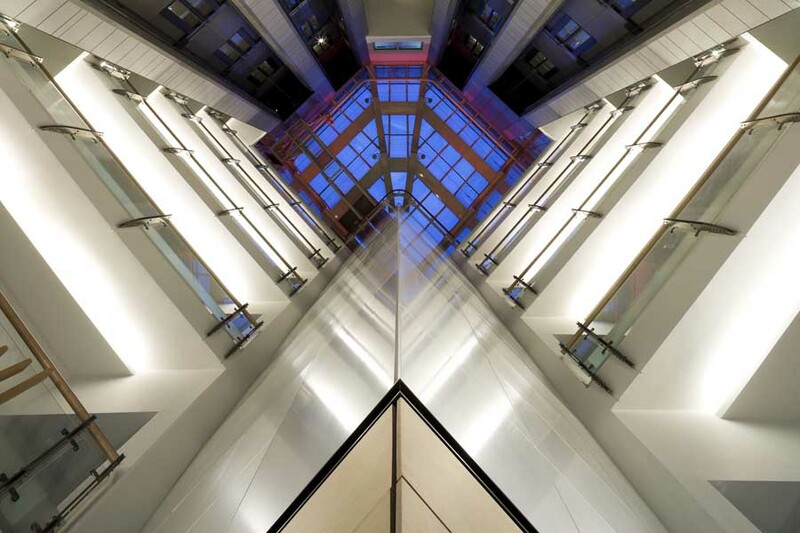 The building had been refurbished in the 1980’s but the interior of the atrium was very dark and the reception and waiting areas were located at the back of the atrium and could not be seen from Bothwell Street. 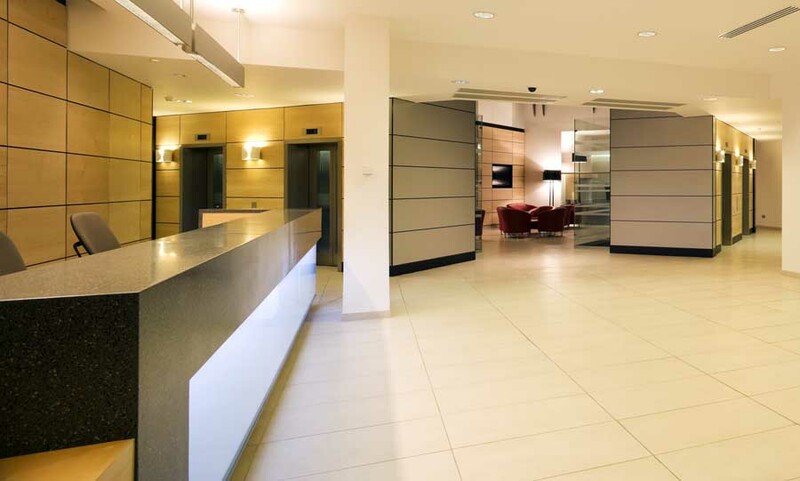 The Clients intention was to improve the quality and visibility of the atrium space and entrance arrangements, whilst maintaining the operation of the business at all times. Ark prepared design proposals for a new frameless glazing entrance screen and doors which integrated seamlessly with the existing frontage. 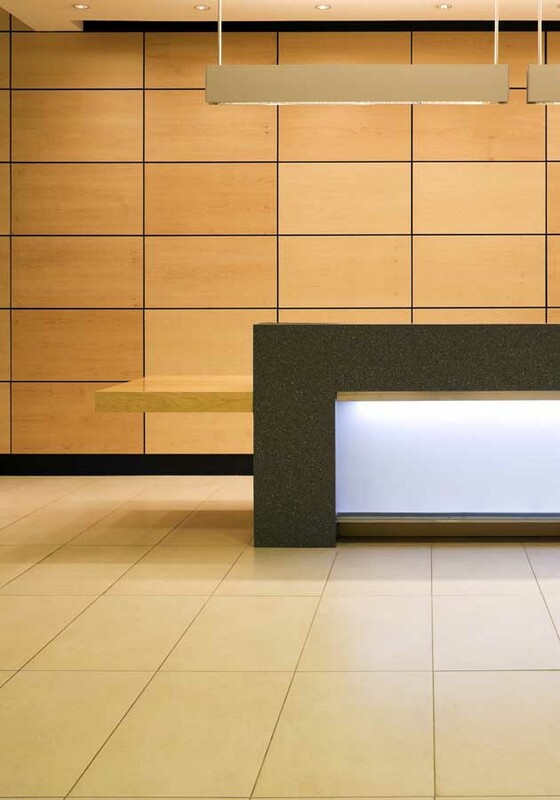 Lighting was carefully reviewed to greatly increase the light levels and therefore the awareness of the entrance. The reception and security facilities were relocated to the front of the atrium with a new contemporary backlit desk provided. The waiting area was kept at the rear of the atrium adjacent to the “V” feature which was also re-clad. A smaller, more private waiting area was also created at a raised level, made possible by relocating toilet facilities. 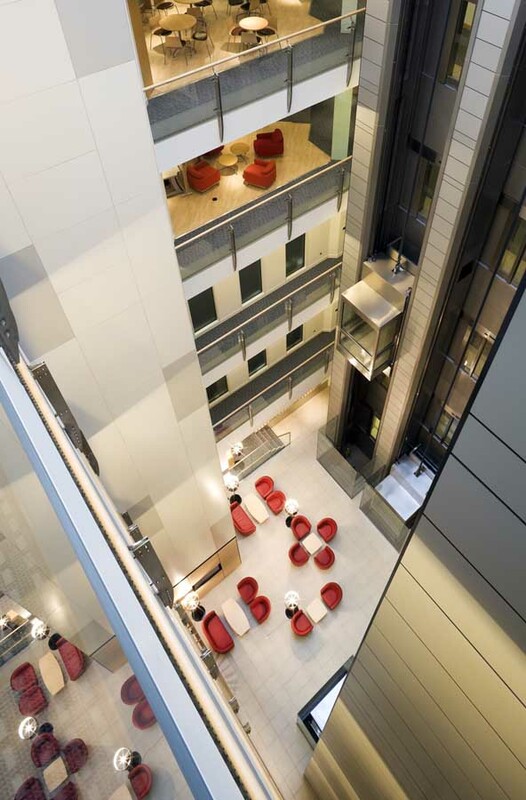 The granite clad lift shafts were re-clad in a contemporary board material with contrasting maple timber cladding round the lift doors, both of which combined to reflect more light from the small existing rooflight. The four lifts were replaced over the duration of the works with glazed cars being provided. The existing goods lift was also replaced with a full DDA compliant lift. The floor of the atrium was re-tiled, again using light-coloured large format floor tiles to increase light reflection. 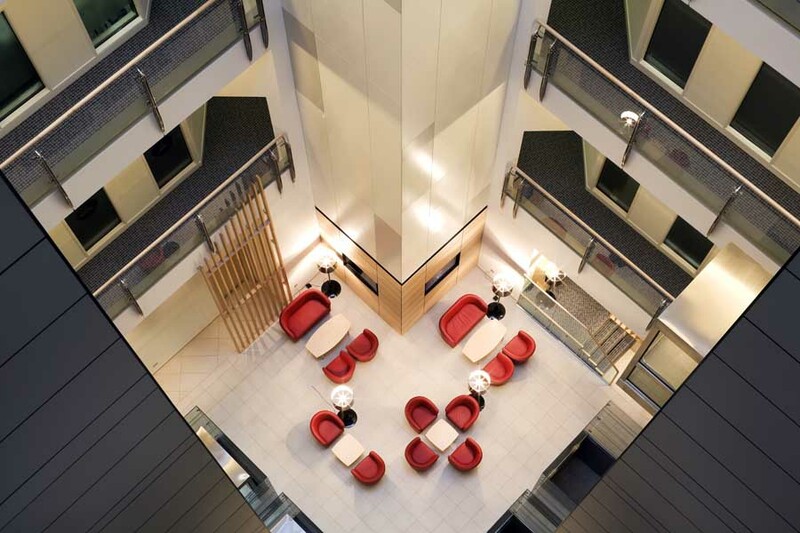 The edges of the original balconies were extremely deep and the leading edges of these were cut back with new concealed lighting installed to reduce their visual weight and to increase the overall lighting levels. 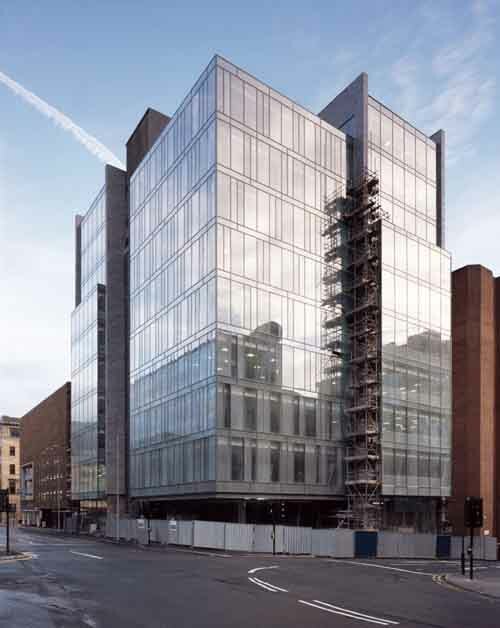 The business continued to operate throughout the refurbishment works with sequencing and timeous execution being critical to the success of the project. On Completion the Client was extremely satisfied with the project and has achieved the original objectives. 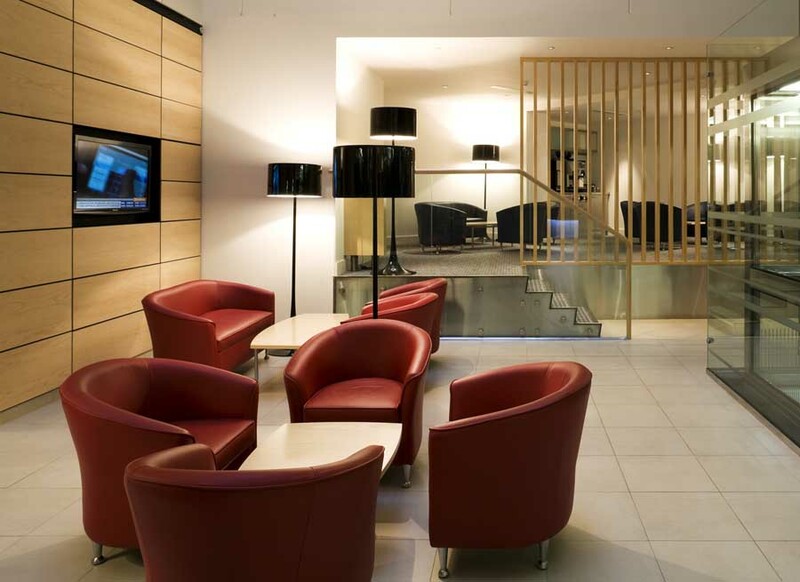 The atrium is now a very pleasant, calm space and the entrance works extremely well. The business has also benefitted from greatly enhanced visibility from the street.